There could be many reasons why you can’t send or receive emails. In this article, we will go over the steps you can follow if you are experiencing problems with sending and receiving domain emails on your email client (ie. Mac Mail, Thunderbird, Outlook). Can you send or receive emails on your Webmail account? Solution: Verify that you are able to send and receive email messages in your Webmail account. login to your Doteasy Webmail account and try to send or receive messages. If you are able to send and receive emails from your Webmail account then you may have the wrong settings in your email client and your next step is to double-check your email client settings. Do you have the correct credentials or account settings? Solution: Verify that you have the correct username, password and other settings. Are you using the incorrect login email address, username and/or password. 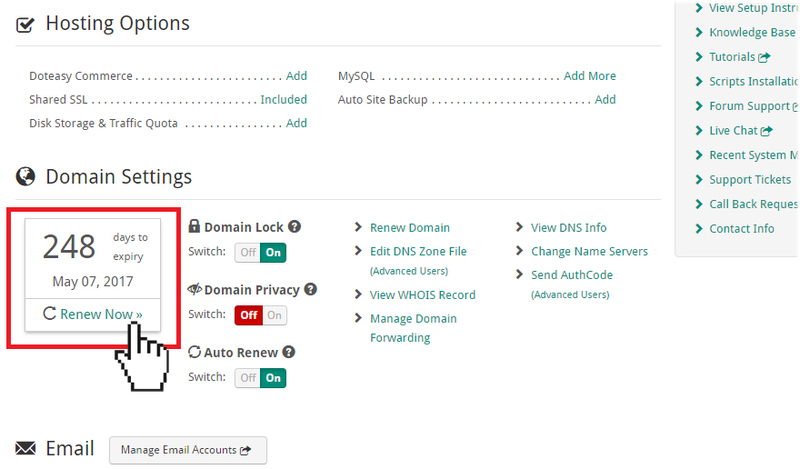 Note that your Doteasy mail server uses your full domain email address (ie. user@domain.com) as your username. Do you have the correct incoming and outgoing mail server name? Make sure you are using the correct server for incoming and outgoing emails. You can find all the above settings and information in your Doteasy Member Zone, under View Email Client Info. Did you check the option for SMTP authentication? Solution: Turn on SMTP authentication for your account. Our mail servers requires SMTP authentication for any emails to be sent. If your account settings are correct but you are still having problems sending emails, then make sure you have turned on SMTP authentication on your email client. This option is typically found in the email client’s advanced settings. Solution: Verify that your domain is not expired. Did you forget to renew your domain name? In order for your domain email address to function, your domain name needs to be in Active status – in other words, if your domain name has expired, your email address will stop working. Doteasy sends out domain renewal reminders to the authorized email contacts for your account. You can simply follow the instructions on the email to renew your domain name. In the event that you no longer have access to the authorized email contacts on file, you can find your domain name’s expiry date in your Doteasy Member Zone. If your domain was registered through Doteasy, you will find your domain expiry date under Domain Settings in your Doteasy Member Zone. If your domain has indeed expired, you can click on the Renew Domain link to submit a domain renewal request. If your domain was registered through another registrar, then use the View WHOIS Record tool to check on your domain name’s expiry date. If your domain has indeed expired, you will then need to contact your domain registrar to have it renewed. Unfortunately, once a domain name has expired, it can only be renewed with the original domain registrar. 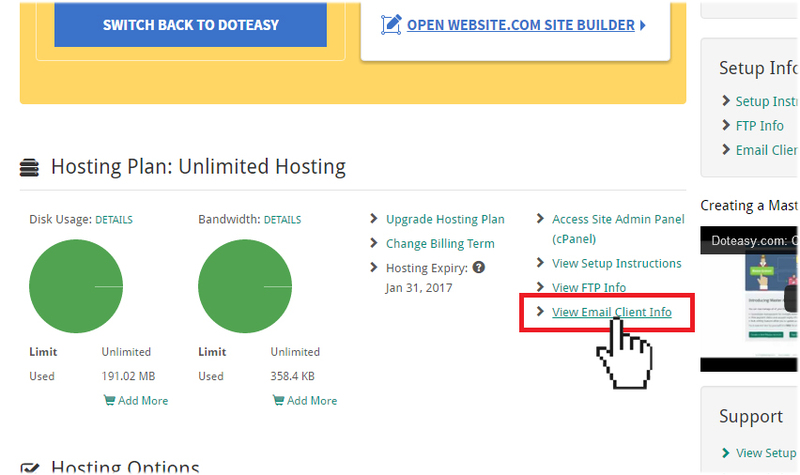 Is your Doteasy hosting account in Active status? Solution: Verify that your hosting services are renewed and in Active status. Did you forget to renew your hosting services? Note that domain registration and hosting services are separate services and you need to renew both for your domain email accounts to be functional. Just like domain names, Doteasy sends out hosting services renewal reminders to the authorized email contacts for your account. In case you have missed the renewal reminders, Doteasy will auto-renew your hosting services upon expiry to minimize disruption to your website and domain email accounts. Renewals will be processed to the payment credit card on your account. If your email accounts have ceased to function because of expired hosting services, then it means we were unable to process the renewal transaction on the payment credit card on file. You will need to contact us to retry the payment and re-activate your hosting services. If you have followed the steps above but you are still unable to send and receive emails from your mail client, please contact us so we can help you further investigate and rectify the problem.